Youth - it’s a wonderful thing. When you’re a young boy, the feeling of invincibility is amazing, like nothing can stop you. Except one important factor that controls every inch of the universe; aging. You go from being a boy to being a father, or husband in no time. Eventually, no matter if you were the most decorated college all-star in five different sports, or you could run a marathon in record time, you will start to notice changes in your body. Sometimes these changes are more visible than others, like hair loss. In some ways, hair loss in men takes more of a psychological toll than a physical one. We tend to feel less masculine, especially with our wives or significant others. You may notice patchy spots on an inconspicuous part of your head. Having a full head of hair seems to embody strength, virility and youth. Hair loss seems to signify the loss of control over your body. Gentlemen, although we all age and lose hair in some way, its regrowth shouldn’t be impossible. There are a lot nutrients and supplements to consider when looking for an improvement to your hair. What Can You Do to Regrow Hair or Promote Existing Hair Growth? Your diet is important when considering the effects of hair loss. Many times, it’s the first line of defense in preventing further damage to your hair follicles. Certain vitamins help men protect their hair. Vitamin C, seafood and marine proteins help provide key nutrients to increase the growth of thicker, stronger hair. Vitamin C helps you produce collagen, which is the most abundant protein in the human body. It protects against the damage to body tissue caused by free radicals. Protein is the key ingredient that makes up the structure of hair. Eating foods rich in lean protein can help provide protection against tissue damage. Sometimes eating right is just not enough to bring your full head of hair back to life. 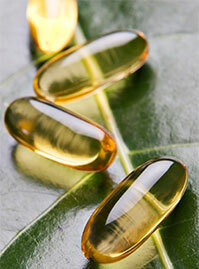 Obtaining the right supplements to help your hair reach its maximum strength and thickness can be difficult. Viviscal Man is the only 100% drug free hair growth system on the market guaranteed to naturally bring your hair back to life. Viviscal Man hair growth supplements are clinically researched to nourish thinning hair among males and promote the growth of existing hair. Our hair growth pills contain the exclusive marine complex AminoMarⓇ, Vitamin C, Zinc, Horsetail (stem) Extract and Flax Seed Extract. 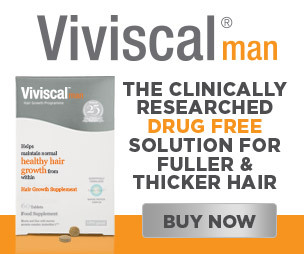 Viviscal Man supplements are part of the complete Viviscal Hair Growth and Hair Care Programs, which include our shampoo, moisturizing conditioner, Hair & Scalp Serum, and Hair Filler Fibers. 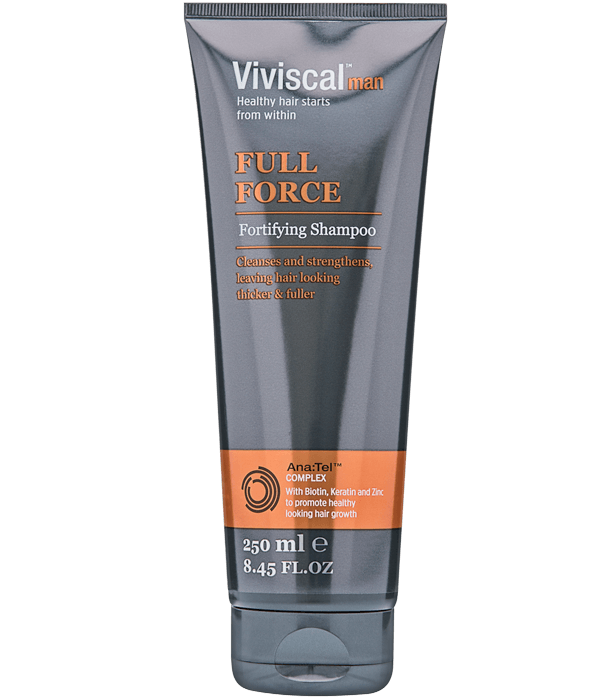 Viviscal Shampoo provides a gentle yet effective cleansing and brings nutrients deep into your scalp. It’s also free from Parabens, Artificial Colors and Artificial Fragrances. Viviscal shampoo gently exfoliates your scalp to remove dead skin cells, while Panthenol conditions and helps keep hair strong and healthy. Viviscal Moisturizing Conditioner is an ultra light conditioner. It contains Argan and Hazelnut Oils to soften, nourish and condition the scalp and hair. Creatine helps you gain a smooth, voluminous feel to your hair. Viviscal hair fibers, giving you an instant look of volume while your hair is growing again. They are easy-to-use, microscopic, electrostatically charged fibers which stick to your existing hair. Viviscal hair fibers come in 6 different colors and can be placed on your fresh haircut as well. It adds instant thickness to hair and washes off easily in the shower. Viviscal Hair & Scalp Serum promotes a healthy scalp and thicker looking hair with menthol and proprietary Ana:Tel™ complex. Take comfort in knowing that Viviscal Man is drug free, backed by twenty-five years of research and doctor recommended. We have changed millions of lives and provided the best-sourced nutrients your hair truly needs. Ninety days is all it takes to start seeing the hairstyle you love, and the look and feel of thicker, fuller hair. Viviscal the #1 hair growth supplement in the US. Read More.